In August Teechuktl Mental Health introduced a new clinical counsellor to serve Central Region Nuu-chah-nulth communities. Working out of the Tofino office, Melinda Sinclair’s service area includes Ahousaht, Hot Springs Cove, Ty Histanis, Esowista and other coastal communities in the vicinity of Clayoquot Sound. She recently transferred over from a role with Usma Family and Child Services, where she worked since 2012. Before then Sinclair worked with families and youth in the Cowichan Tribes. 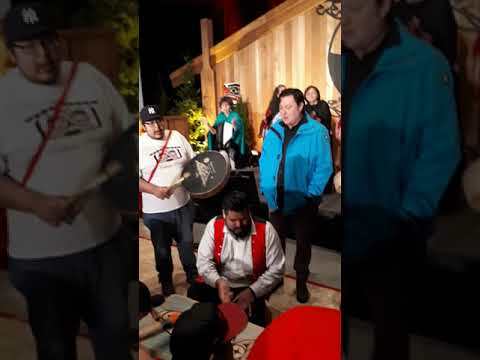 With a background in psychology, Sinclair’s role is to help Nuu-chah-nulth-aht with a variety of issues, including dealing with grief, loss, addictions, relationships, families and parenting. In engaging with different communities, Sinclair has found it essential to be open to learn from her clients. “If you approach people respectfully, if you sit and listen, they’ll teach you what you need to know in their community,” she said. The clinical counsellor was born in Port Alberni, but lived in almost every province during an upbringing full of travel. A member of the Tseshaht First Nation, her family connections include grandmother Louise Watts, grandfather Tom Watts and mother Sheila Sinclair.